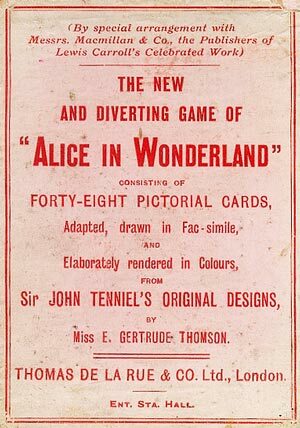 Thomas De la Rue & Co’s “Alice in Wonderland” card game based on the original designs by Sir John Tenniel was first published in c.1898. John Tenniel had been commissioned to produce illustrations for a new book titled “Alice’s Adventures in Wonderland” by Charles Dodgson (Lewis Carroll), published by Macmillan & Co in 1865. The illustrations from the 1896 edition of the book were used for the De la Rue card game, after being adapted by E. Gertrude Thomson. 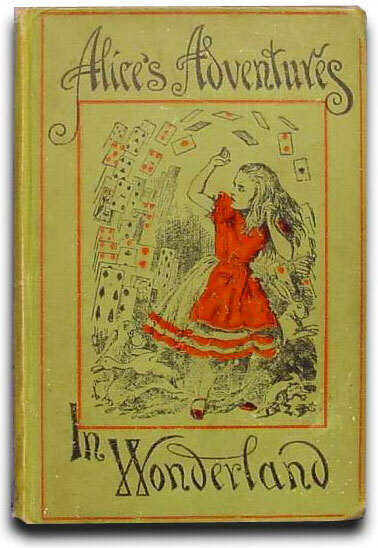 Lewis Carroll’s “Alice’s Adventures in Wonderland” turned Victorian children’s literature on its head. Unlike earlier Victorian child protagonists, Alice is critical, defiant and self-assertive. She is the only one to stand up to the arbitrary and domineering Queen. She rejects authority and asserts the rights of the child. John Tenniel also created the designs for Jaques “Snap” which first appeared in 1866. Christensen, Thomas: River of Ink: literature, history and art, Counterpoint, Berkeley, Ca, 2014. 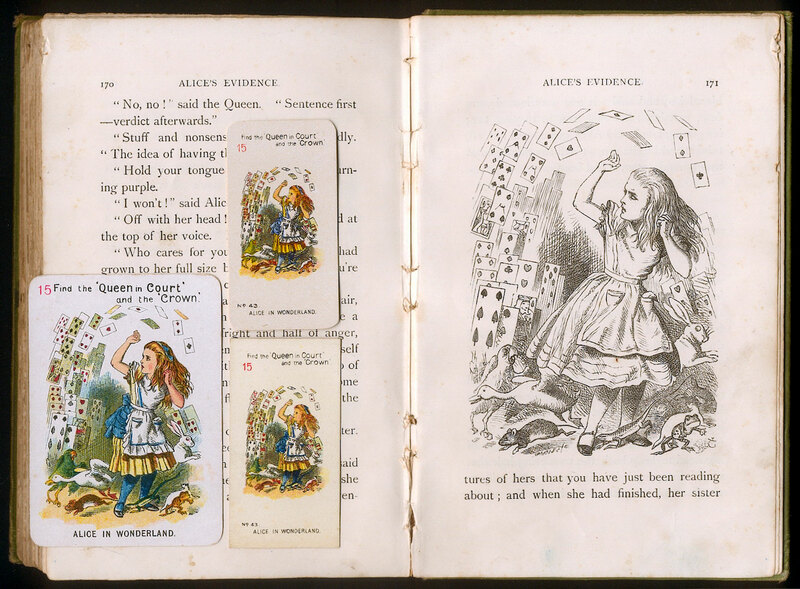 “Alice in Wonderland” card game published by Thomas De la Rue & Co. Ltd, c.1898. The game was published for several years and the side of the boxes reads “Manufacturers to Her Majesty” during Queen Victoria’s reign, or “Manufacturers to His Majesty” during the reign of Edward VII. 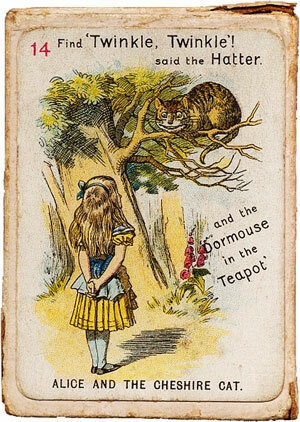 Above: delightful hand-made Alice in Wonderland cards, drawn on old post cards. 48 cards. Image courtesy John Morgan.